Our Birthday Show Winner gets some real nice gifts! Always a great prize pack filled with food and fun! Please submit on day o birthday only. Weekend birthdays will be take Friday or Monday. 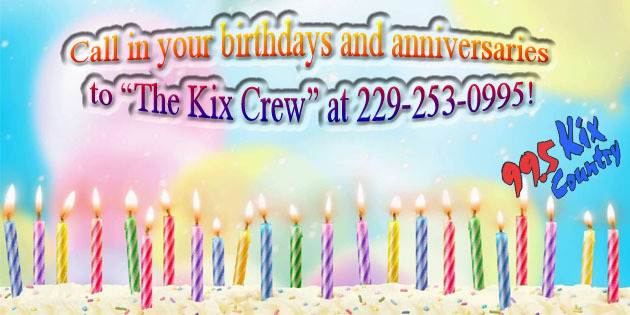 Post your Birthday names on Facebook or phone 229-253-0995 6-7:45 weekdays! !